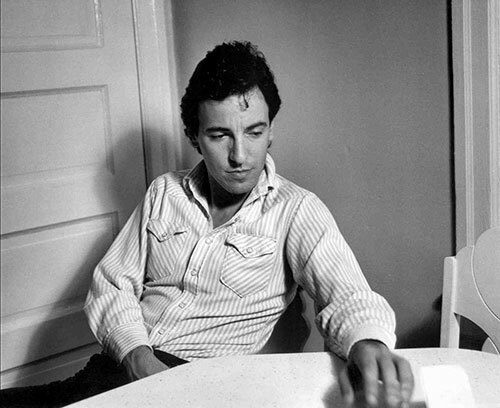 Bruce Springsteen told Mark Hagen in an interview published in Mojo Magazine in January 1999: "The late '70s and early '80s was the first time when literature and films began to be made about Vietnam. There was a subtext on a few earlier things, there was a movie called 'Who'll Stop The Rain' with Nick Nolte, but all of a sudden it began to become very directly addressed. It began with a strange experience when I was driving across the country and I stopped in Arizona at a chug store and I bought a book called 'Born On The Fourth Of July'. I drove on to Los Angeles, and was at this little motel sitting at the pool and a fella came up, started talking and introduced himself: Ron Kovic. I thought, I must have met this fella, his name sounds real familiar, and he said, 'I wrote a book called Born On The Fourth Of July'. I said, 'Wow this is a real coincidence, I just read the book a couple of weeks ago.' So Ron took me down to Venice to the Vet Centre, and I met Bobby Muller, who was the President of the WA at the time. One thing lead to another and it just began to surface in some of my music. There was a song 'Pittsburgh', which was actually written for Born In The U.S.A."
La solitudine della compagna di un soldato ucciso, che guarda la sua fotografia in divisa e pensa a che spreco è stato, a quanto i loro sogni erano "expendable", insignificanti e sacrificabili.